New Gluten-Free from Betty Crocker and Giveaway! This story was originally written for a blog that is no longer active so you cannot read the whole post. I thought I would republish my story to share my 32 years of living with Celiac Disease with my Gluten-Free Fun readers. My Celiac story is longer than most, spanning more than 30 years. Although it was a long and bumpy ride at times, I truly believe being gluten-free for almost my entirely life and having Celiac Disease molded me into the person I am today. I was a very sick toddler. 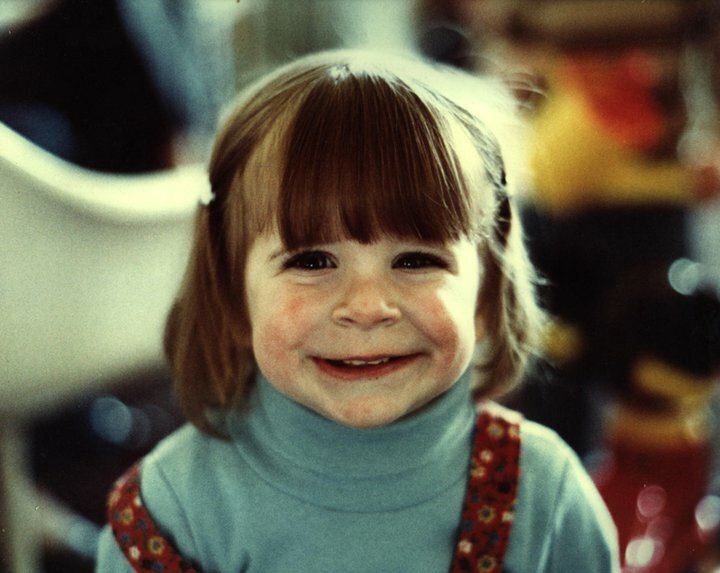 I stopped growing and, I was not thriving as a 2-year-old child should. After months of visits, my pediatrician told my parents that based on my symptoms my illness could be anything from irritable bowel syndrome to giardia. In early 1981, I started seeing a pediatric gastroenterologist on Long Island, NY. I spent close to a week in the hospital and went through a battery of tests, eventually diagnosed with Celiac Disease. My doctor at the time was 29 years old, only one year out of his residency, and responsible for changing my life forever. I was discharged from the hospital and my gluten-free life began immediately. Within weeks, I started growing and acting like a normal toddler. Being only a toddler, my parents were responsible for navigating the scarce gluten-free scene and were desperate for knowledge and safe food. They were at a loss as to where to turn for help. There was a lot of trial and error with getting me safe meals. My doctors did as much as they could to guide my parents, but they still felt alone and confused about raising a gluten-free child. Remember, this was 1981. There was no internet and researching gluten-free diets and finding a support community was a difficult feat. It wasn’t until the early 1990s that we even found our first support group. Today, I run the largest Celiac Disease Meetup group in the world. My how times have changed! In kindergarten, my gastroenterologist decided to give my parents the option of giving me a gluten challenge. During this challenge I would be able to eat any foods I wanted, even ones containing gluten. I vaguely remembering talking to my teacher and telling her it was ok for me to eat pretzels and cookies for one day only. Needless to say, I was extremely sick and bed-ridden for the days following. My parents agreed with the doctor to keep me on the gluten-free diet forever since I would not outgrow Celiac Disease. There were so few gluten-free items available locally so my mom started ordering my food by the case from Ener-G Foods. To this day, she still has a separate freezer that is stocked with gluten-free food when I come to visit. Throughout adolescence, my teens, and my college years, I found sticking to the gluten-free diet to be very challenging at times. Looking back, I think my lack of knowledge of the long-term damage of ingesting gluten as well as my personal youth rebellion lead me to “cheating” by eating gluten-filled food. I was probably worst during my college years because I felt like the college cafeteria could never safely cater to me. I was one in thousands so why should I ask the kitchen to prepare special foods for me. I got terribly sick with mono at the end of freshman year and I fully blame it on my horrible diet. I was sick for days on end and sophomore year I lost a ton of weight because I was so ill. By junior and senior year, I no longer ate in the cafeteria and I was getting back to being healthy again. I am in awe of the gluten-free options I see for college students today. I wish I had those meal plans and options when I was away at college in the late 1990s. Fast forward about five years after college when I started working and living in New York City. Although I had been gluten-free practically my whole life, I realized I longed for a gluten-free community to socialize with in the city. In 2003, with the help of the internet, I discovered the New York City Celiac Meetup group. In August 2006, I organized my first dinner for the group, becoming the lead organizer a few short months later. Now more than five years later and with close to 200 events under my belt, the NYC Celiac Meetup group is over 1650 members and I truly have found my gluten-free community. In 2007, I started my blog Gluten-Free Fun as a way to show the world that being gluten-free should not stop you from living your life. As someone who grew up with Celiac Disease, I wanted my readers to realize that life is not over at your diagnosis. I usually like to keep my blog upbeat and informative, while being honest with my readers. I am by no means a medical expert, but I write about my personal experiences and stories about people I meet. I also include product reviews, restaurant suggestions, and more. I love the interaction I get with my readers through the blog, Facebook, and Twitter. I have met some really wonderful people through my blog and I wouldn’t exchange that for anything. In 2011 while in the Czech Republic, I launched my second blog Gluten-Free Globetrotter. This website combined my two passions: being gluten-free and traveling. Although I had gone on family vacations my entire life, I really embraced travel about six years ago. When planning a vacation, I spend a lot of time not only researching the top attractions but places I could safely eat gluten-free. I not only wanted to share this information with others, but also wanted to encourage those with Celiac Disease to travel the world and not be scared about eating gluten-free domestically and abroad. The blog is just shy of a year old and I am still really excited about my Gluten-Free Globetrotter website. I just wish I had more time to travel and explore gluten-free options around the world! Growing up gluten-free wasn’t easy and I took a long time to truly accept who I am as a person with Celiac Disease. As an adult, I know now I have a unique perspective of growing up gluten-free in a gluten-filled world for the past 30+ years. I am passionate about sharing my gluten-free experiences and expertise with others. If I can help just one person through my leadership of the NYC Celiac Meetup group or through my two blogs, then I feel like all of my time effort is worth it.